Food so good, you may never cook again. Italian food at its best! Lasagna, chicken or veal parmigiana, grilled veal chops, and pasta. 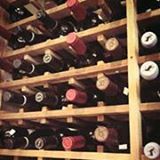 The only all Italian wine list in Maine. Wine Spectator Award of Excellence Winner 2002 -2007.